I decided to start with buying some fake glasses. You may be asking, "Laila, why?" The reason is simple...I need new glasses. These are great why to try out different fame shapes and really get out of your comfort zone. 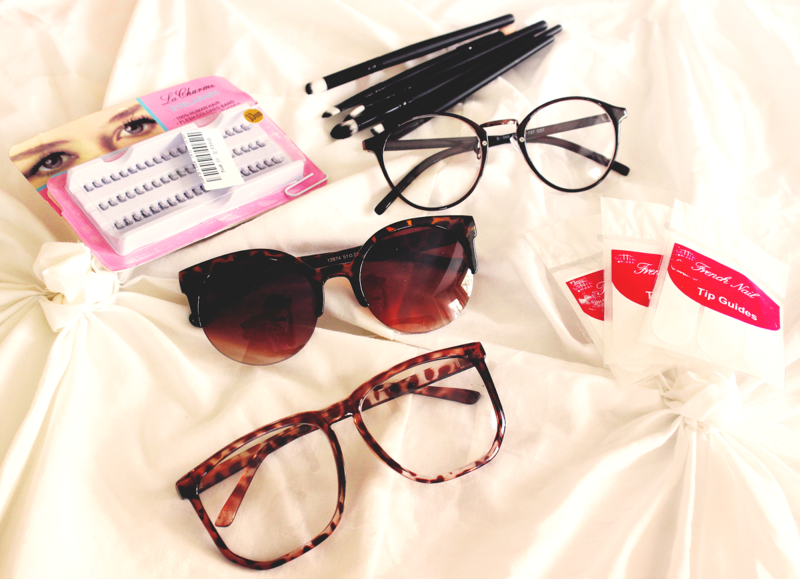 They both come with lenses with no prescription, so you can wear them with contacts. 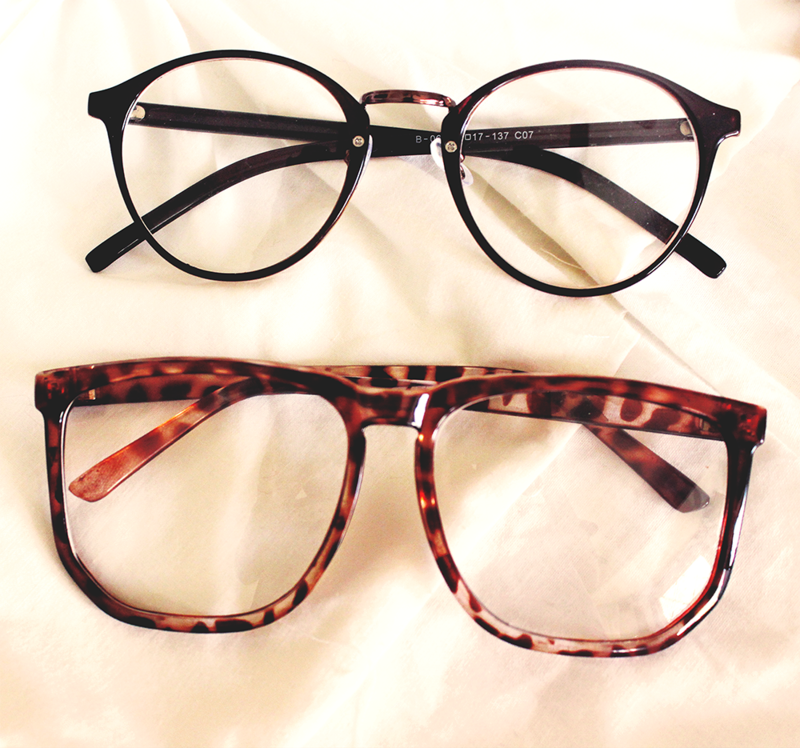 The first pair are theses really cute, retro glasses (link). They cost $3.05 and are under the free shipping tag. They are extremely cute and I am very happy I got them. You will be able to see wear them in an upcoming video..wink wink ;) The next pair are these over-sized, square glasses (link). When I say over-sized...I mean OVER-SIZED because they are huge. Although they are huge, they are pretty cute. The quality is not as nice as the first pair, but they are very well put together and cost a whooping $2.02. Do I have any French manicure fans? I am a huge fan because they are so simple and effortless. I have never been able to create a perfect manicure because of the straight clean edge of the tips. With these nail stickers (link) I will be able to do that! I definitely post about my own self French manicure experience and will review how these did. Next I have some makeup brushes (link). 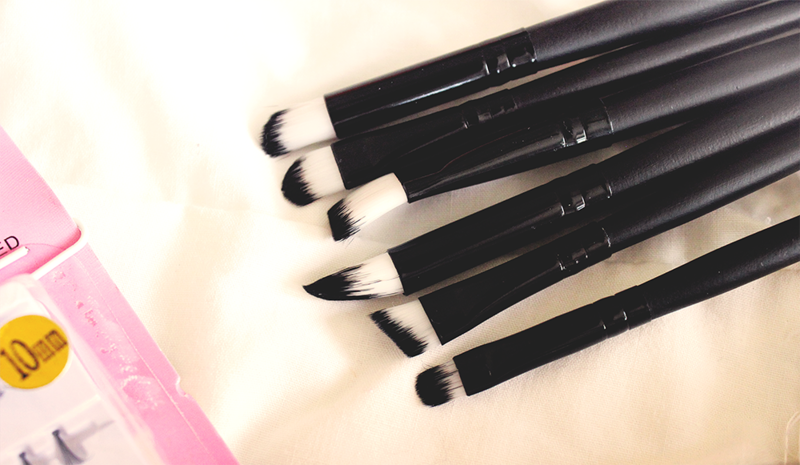 I was not really wowed by these brushes when I first got them. Some the brush heads were bent most likely because of shipping. Another thing is that the hairs are made with nylon fibers, which I am not really a fan of, but I will have to try them first. I will do makeup and update you on what my final thoughts are. I am huge fan of false eyelashes, especially individual the ones.These lashes by La Charme (link) are 10mm long and cost $1.64. They are pretty nice and are said to be made with 100% human hair. They do not look like they are made with human hair because they feel like synthetic. However, I am not an eyelash expert. I will give these a try and let you know. These retro sunglasses (link) have to be my favorite item of the haul. They are a beautiful and are of amazing quality for only $2.93. They have a beautiful gradation from a sunset orange to a subtle yellow. 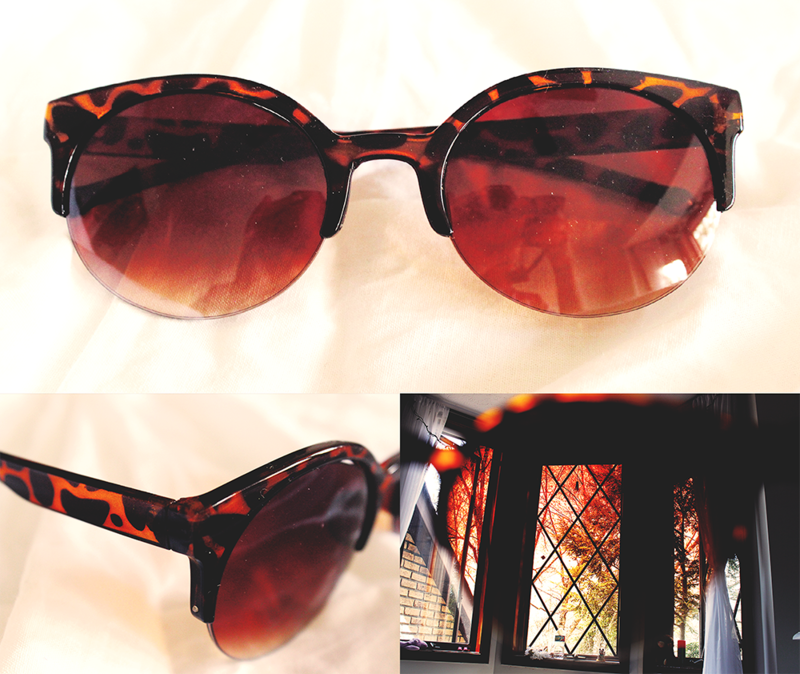 I will definitely be wearing them during the summer and if I could suggest anything you should buy it would be these! I love stores like this a Born Pretty, they are just too much fun! They have wide variety of products to the point it is hours of just eye candy. I would definitely go back and repurchase some more items.